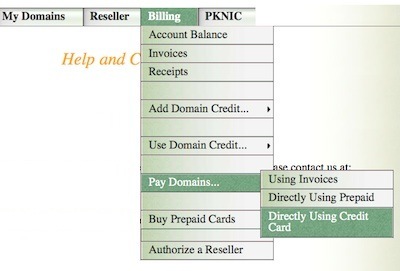 Please login to your account, at the bottom of this page, to make payment for third party external or legacy domains. Your account does not need to have these domains in them (hence the name "external domains"). We no longer accept anonymous credit card payments for domains. If you do not have an account, please create a free account here first. Please login to your account to make payment for third party external or legacy domains.